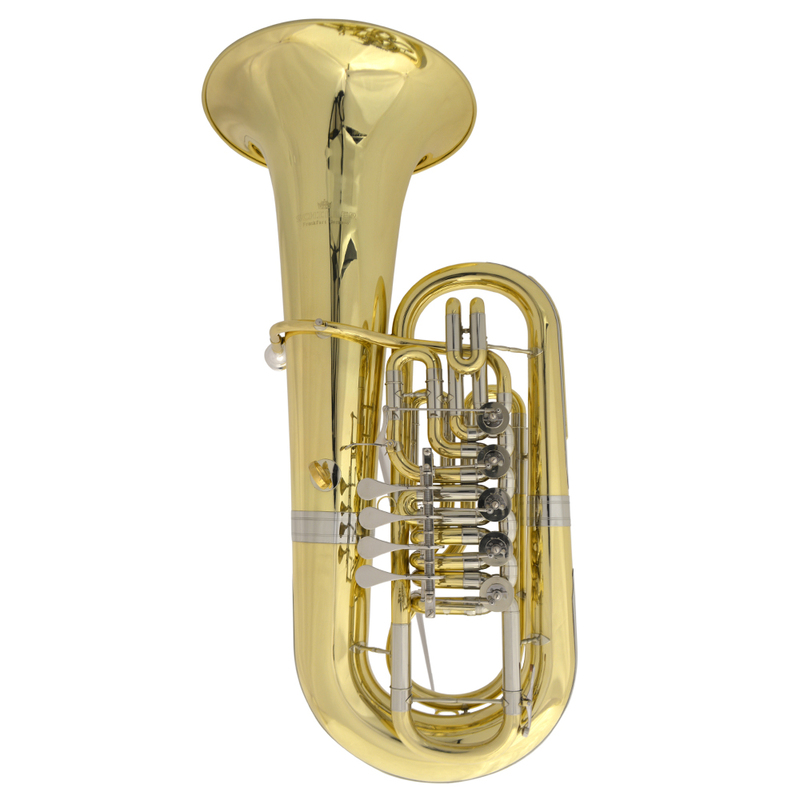 The Schiller American Heritage 5 Valve F Rotary Tuba opens up all the registers in a big substantive American Sound. 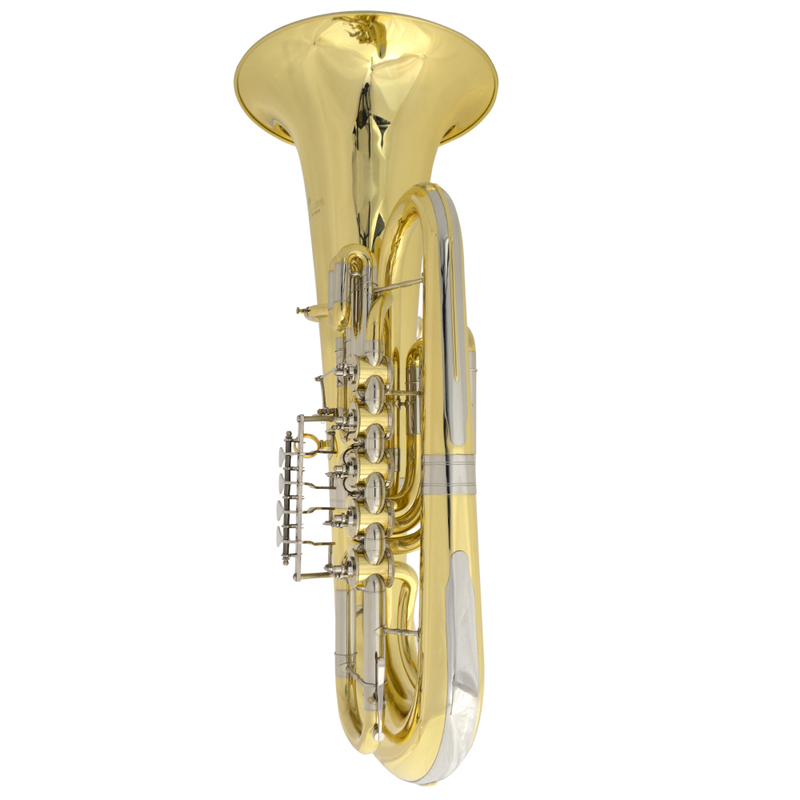 The Yellow Brass Leadpipe with all Yellow Brass and Nickel Silver Tubing lead the way to the big 16.5″ Bell. A 4/1 Rotary Valve rotary mechanism is smooth and responsive and the traditional Open Wrap design keeps air flowing smoothly all the way down to the subsonic registers. 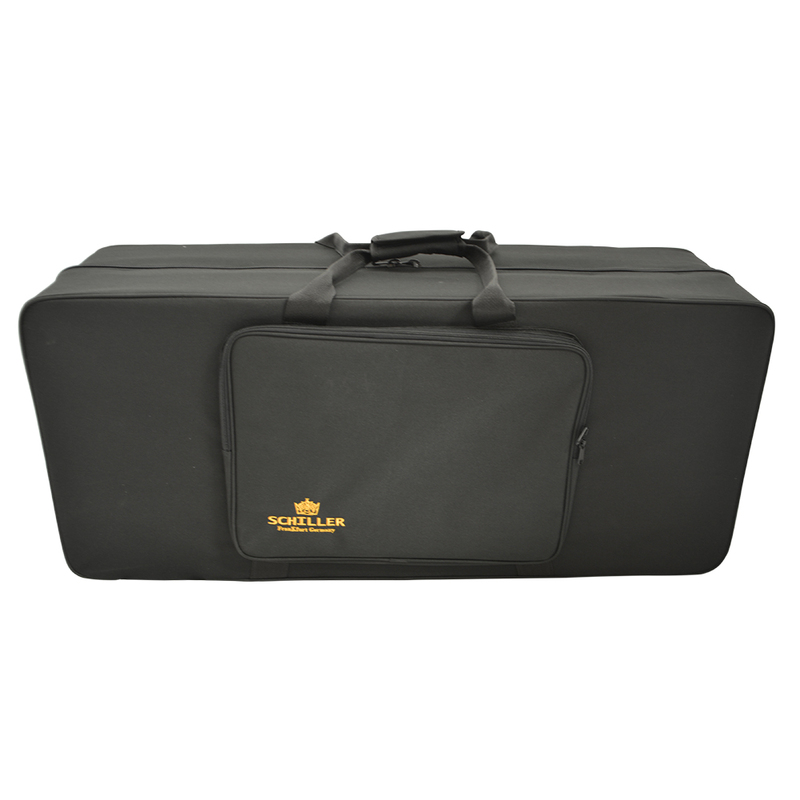 The Schiller American Heritage BBb Rotary Tuba comes complete with a genuine Schiller Mouthpiece and a Hard Case with wheels. 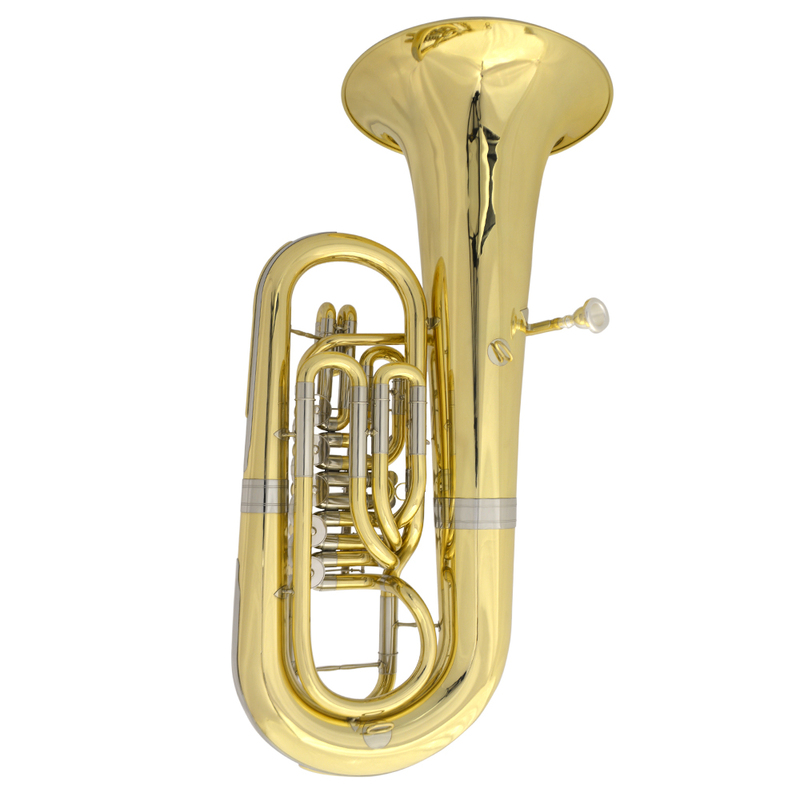 Schiller American Heritage F Rotary Tuba, Reclaiming the American Tuba Heritage.